The Bombardier CRJ700ER is an extended range version of the CRJ700. Through an increase in maximum weight that allows for greater fuel capacity, the CRJ700ER is able to achieve greater range then the main CRJ700 aircraft. Other then the increased range, the Bombardier CRJ700ER is the same as the base CRJ700 model. Bombardier now offers the CRJ700ER NextGen model. This aircraft has upgraded interiors and reduced operating costs, in comparison to the CRJ700ER. Other then the few changes, the CRJ700ER NextGen is very similar to the CRJ700ER. Range numbers for the Bombardier CRJ700ER NextGen are slightly less then the CRJ700ER. We are unsure if these are do to changes in the aircraft or if these differences are just slight adjustments. 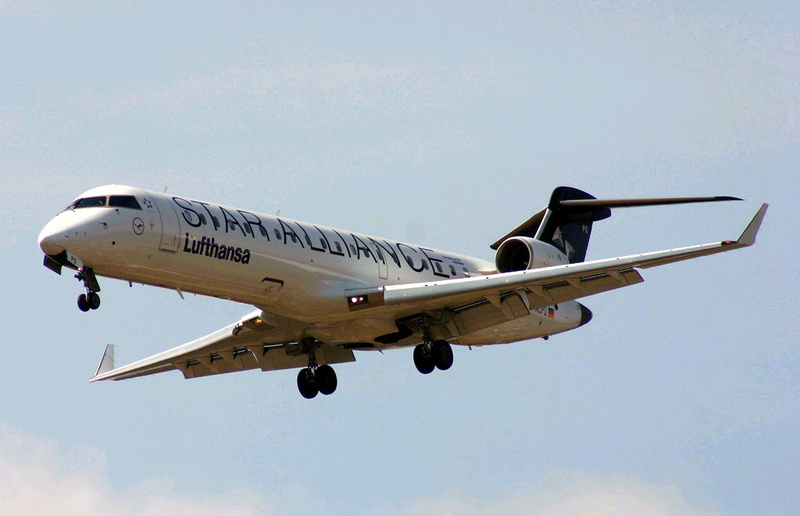 Range for the CRJ700ER has been listed as: 1,590 nautical miles, 1,830 statute miles or 2,945 kilometers. Above Bombardier CRJ700ER page photo by Alexander Prokop on Wikimedia Commons. Photo released under a Creative Commons License.